IEEE Oceans is one of the most consolidated events worldwide in underwater technologies field. Promoted by IEEE Ocean Engineering Society and Marine Technology Society, the OCEANS has become a meeting point for ocean technology researchers presenting their last developments and exhibitors from ocean equipment and service suppliers. 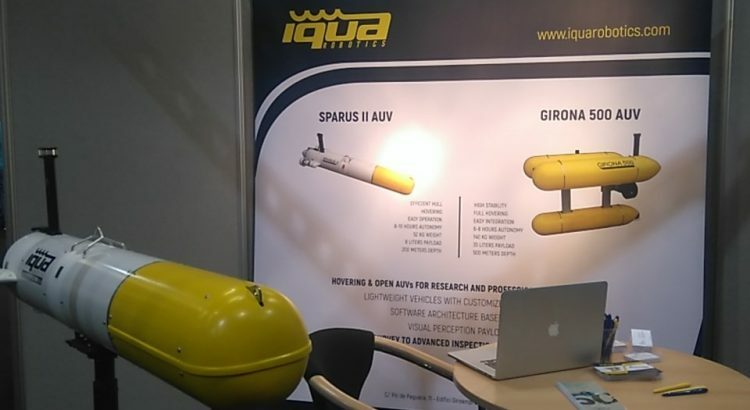 The 60th edition takes place in Aberdeen (Scotland) and IQUA Robotics is one of the exhibitors. The team is presenting GIRONA 500 and SPARUS II as hovering open autonomous underwater vehicles for research and professional applications. Their main characteristics are: their light weight, being ROS operated and their infinite payload possibilities (according to end user needs). Along with its presence to OCEANS, IQUA has created its twitter profile, do not miss the chance of following the company evolution!